The enTourage eDGe is the world's first dual panel personal device, combining a tablet on one screen and an e-book on the other. Since 2011 it has been intellectually developed by Pleiades Publishing, Ltd. The device runs on Google's Android OS. At present Foxconn is engaged in mass manufacturing of the enTourage eDGe v. 2.5; production volume is actively growing in line with increasing demand (especially in scholastics), and the device is being continually geared to the high requirements for modern tablets. In the near future, the company plans to introduce the new enTourage v. 4.0. 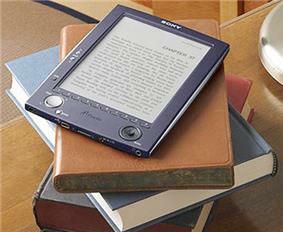 The enTourage eDGe is a dual touchscreen device that when open looks like a book. One screen is based on e-Ink technology, and the other is a 10.1" polychromatic LCD display. Both screens respond to touch and the interactive use of a stylus. The LCD color screen is designed for multimedia display (an important advantage of the modern educational process), whereas the e-Ink screen is designed for reading and, in the corresponding mode, for taking notes, as though on paper. Since the e-Ink screen (which is used in modern e-readers) is identical in optic structure to common paper, i.e., it works on reflected light, is virtually harmless to the eyes, which makes it suitable for any amount of textual information. This is important for the educational process, since it is possible to use the electronic device without violating health standards. Both screens are interconnected. For example, if an e-book is downloaded from the enTourage store, the book is added to the device's library and can be accessed both via the LCD and e-Ink screens. Or if a document is created on the e-Ink screen, it can be reproduced on the LCD screen. The enTourage eDGe is equipped with a camera above the LCD screen, as well as two USB ports, which can take two flash memory drives, an external keyboard, and other compatible devices. The enTourage eDGe also comes with a stylus, which can be used for writing or interacting with both screens. The device is a transformer: both sides may be folded closed like a book, but they can also be fully folded open so that the screens are back-to-back. 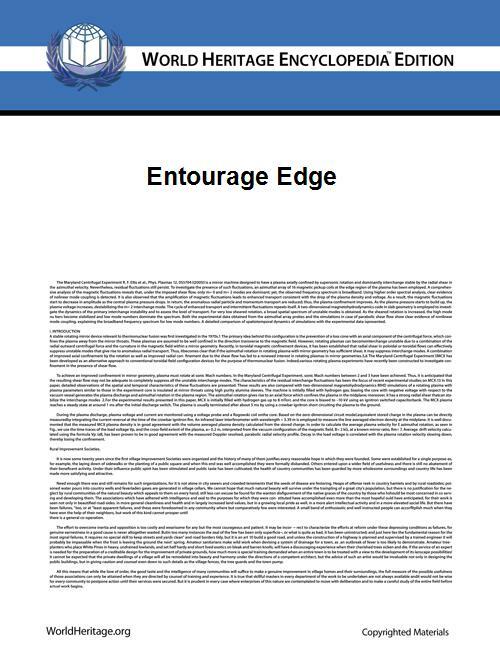 March 2010, enTourage eDGe v. 2.0 launched. November 2011, development of v. 2.5 begins, mass production of which starts in July 2012. June 2013, development of v. 4.0 begins, with launch planned for late 2014. In a review, “Wired” magazine − “The devices were marketed as enTourage eDGe – “the world’s first dualbook”.